Embark on a 17-day excursion to the Falkland Islands for a wildlife discovery unlike any other. 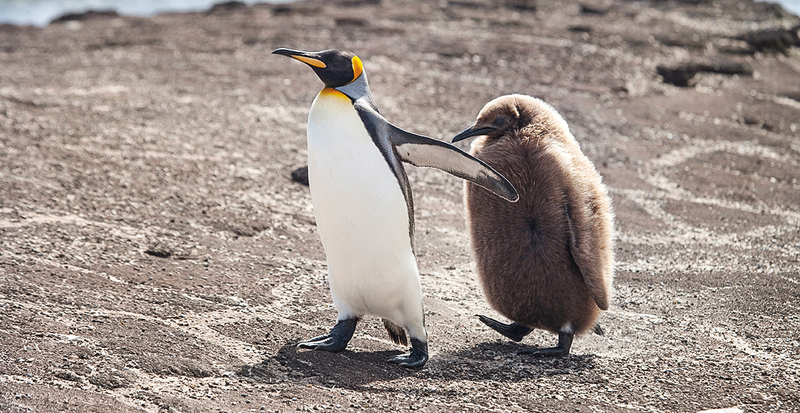 As one of only 12 passengers aboard Quark Expeditions’ small exploration boat Hans Hansson, you’ll have access to the archipelago’s remote shores off the southeastern tip of South America and get up-close to whales, sea lions, penguins and birds. Unforgettable days ashore lead to evenings at family-style dinners with the captain and crew as they share local lore. 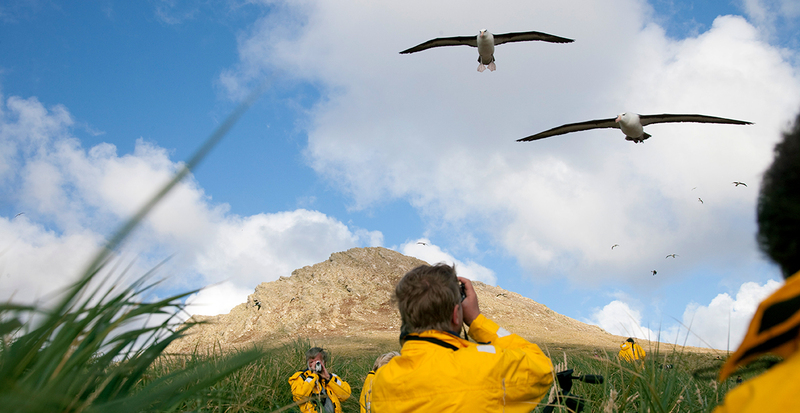 Discover all these incredible experiences and more on a bespoke adventure with Quark Expeditions. We’re excited to secure for you this exploration of a lifetime! The Falkland Islands’ unspoiled, natural landscape and protected habitat makes it the perfect home for a variety of wildlife both on land and at sea. Discover the unique creatures you might encounter, small and large. This long, thin coastline attracts birds galore; it’s home to 47 breeding species like the Falkland thrush and tussac bird. Most magnificent might be the more than 8,000 pairs of imperial cormorants, identified by their sleek black feathers, white neck and blue-ringed eyes. Travel Tip: Protect your camera, and keep the lens dry by using large ziplock bags with a hole cut in them! Mingle with members of the largest king penguin colony in the islands on the white-sand beach at Volunteer Point and delight as they join gentoo and Magellanic penguins on graceful dives into the ocean. Travel Tip: From October to early December, witness penguins waddle from the water to nests far from shore where they will mate and lay their eggs; visit December through February to see newly hatched chicks. As you wander through tufts of green tussac covering this island, keep an eye out for the atoll’s namesake. 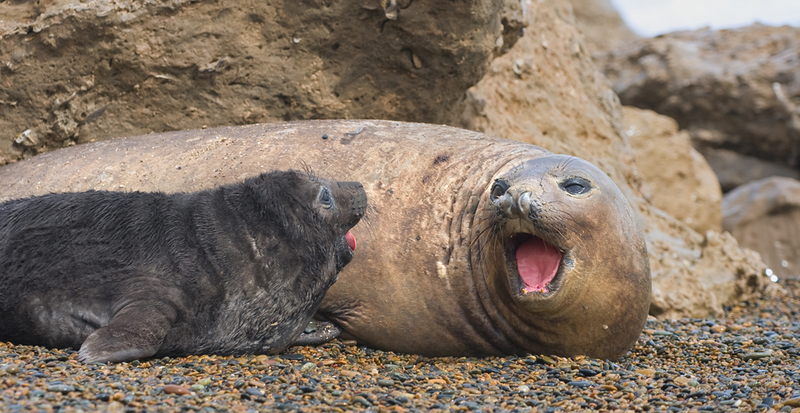 They like to lounge here and on the beach alongside the impressively massive elephant seals. Travel Tip: Antarctic weather can change unexpectedly. With Quark Expeditions you'll receive a specially designed expedition parka that's not only windproof and waterproof, but also insulated and lightweight. Plus, you can keep this parka, even after your Antarctic adventure. Watch the video to meet the crew and see what life is like aboard the small but mighty ship. Are you a curious traveler? Then you'll want to explore the latest offers to the Arctic and Antarctica. Call us today! We'll help make these polar adventures a reality.